Chiara Guizzetti was born and raised in Franciacorta, a gracious town near Brescia. Since her childhood, she was fascinated by fashion, music, and beauty but what influenced her the most was her auntie who was an artist and painter. After a holiday in London, Chiara fell in love with the city and decided to move there. The freedom of the city, its multicultural aspect, and the music scene were so influential to Chiara who, after starting working at the Royal Court Theatre, decided to become a makeup artist. Once she got the diploma, Chiara met the makeup artist guru Daniel Sandler and started assisting him during fashion shows, photo-shoots and during promotions of his makeup brand. 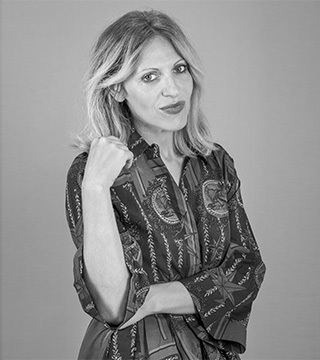 Chiara worked for the most important fashion events like Milan and London fashion weeks, and she was part of the makeup team for designers like Versace, Chanel, Missoni, Jil Sander, GFF, Cavalli, Moschino and many more. Chiara is currently based in Milan.